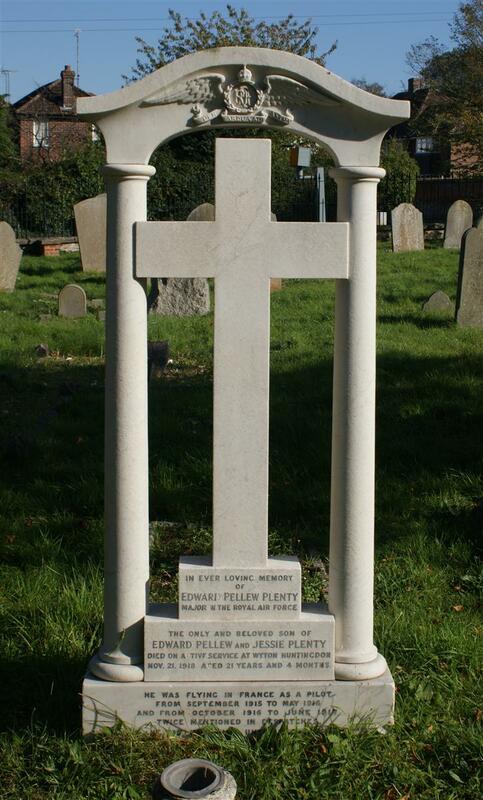 The only and beloved son of / Edward Pellew and Jessie Plenty / Died on active service at Wyton Huntingdon / Nov 21 1918 Aged 21 years and 4 months. He was flying in France as a pilot / from September 1915 to May 1916 / and from October 1916 to June 1917 / Twice mentioned in dispatches. / He did his duty until the end.